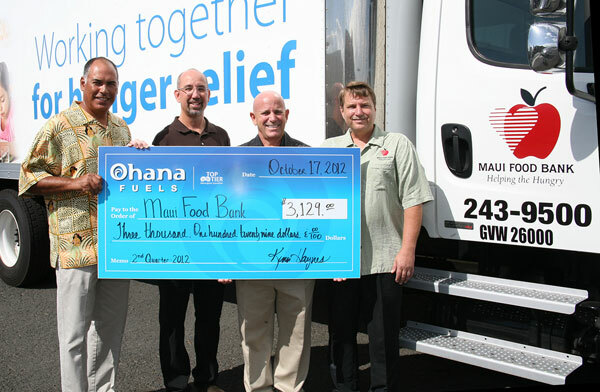 Kahului, Maui– Oct 23, 2012 Ohana Fuels partners with The Maui Food Bank and donates $3,129.00 Ohana Fuels, a TOP TIER™ brand of Maui Petroleum Inc., recently donated $3,129.00 to the Maui Food Bank. 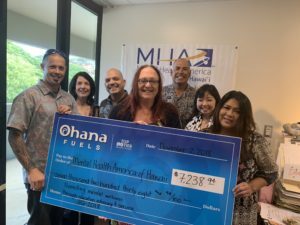 As part of an ongoing commitment, Ohana Fuels will continue to partner with non-profit organizations that serve the needs of those living in our community by donating a portion of the proceeds from every gallon purchased at Ohana Fuels locations. “The name Ohana represents a philosophy toward our employees, customers and the communities we serve”, said Kimo Haynes, President of Maui Petroleum Inc. “It’s through the continued support of our extended Ohana that our charitable contributions program is possible”. “Ohana Fuels branded its first location in July of 2012 at Minit Stop Makawao followed by Minit Stop Pukalani and Minit Stop Wakea. As we expand our branded locations we will continue to partner with non-profit organizations in a significant way”, said Steve Wetter, General Manager, Maui Petroleum Inc.
Ohana Fuels is a TOP TIER™ brand of Maui Petroleum Inc. Maui Petroleum Inc. has been a leading independent distributor of petroleum products and lubricants on the island of Maui since 1973. A dedicated group of 15 employees reside on Maui and provide the backbone of Ohana Fuels/HPI’s local operations. TOP TIER™ Detergent Gasoline is the premier standard for gasoline performance. The EPA requires that all gasoline sold in the U.S. contain a detergent additive. In order to meet TOP TIER™ Detergent Gasoline standards, a higher level of detergent is needed than what is required by the EPA. Clean engines help provide optimal fuel economy and performance and reduced emissions. Also, use of TOP TIER™ Detergent Gasoline will help reduce deposit related concerns. The Maui Food Bank serves over 10,000 people a month who are in need of food. They work with a dynamic network of nonprofit organizations and agencies that distribute food to the hungry and who offer over 100 relief programs. It is Maui Food Bank’s goal to end hunger on Maui. 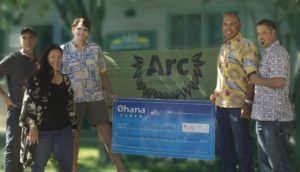 Ohana Fuels partners with The Food Basket and donates $4,502.60. 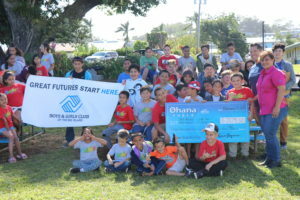 Ohana Fuels partners with the Boys and Girls Club and donates $4,936.60.